Our seed, our knowledge and our know-how are a proud cultural heritage, not merchandise, and we alone decide with whom they are to be shared. We refuse to see them stolen by industry for genetic manipulation and privatisation under patent property rights, proceeding thus to wipe out, in country after country, all the local plant varieties and local livestock breeds. Industrial interests, moreover, cannot fool all the people all the time when they try to pass off their latest (and dissimulated) innovations as traditional varieties. - to work for the adoption in other instances of the opinion rendered by the Peoples Tribunal on the crimes of Monsanto, implicating also other destroyers of the very fundamentals of terrestrial life. Ecocide has begun. Year after year, pesticides and GMOs provoke terrible damage to the health of millions of people, and this with the complicity of politicians and industries. Their impunity is no longer tolerable. 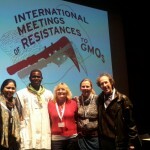 There is a cruel lack of independent basic research into the impact of GMOs and pesticides. - the necessary attention to the fertility of the soil. It contributes to limiting climate change, it is our way of life, our way of thinking and our way of being part of society. The human race is part of the ecosystem and its biodiversity and has a rôle to play in maintaining their equilibrium. In furtherance of agro-ecological values we shall be working with local authorities to resist land-grabbing, to maintain farm land in practices that exclude synthetic chemicals and other artificial inputs. We shall work for the education of youth, for their access to agricultural occupations, for restoring to citizens a new confidence in their own skills and values, and for improving the status and integration of women. 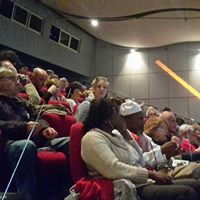 The role of farmland is to nourish the people and not to enrich the financiers or speculators in the carbon market, nor should land-grabbing be allowed for these latter purposes. We can no longer remain passive. We are pacific but not docile. 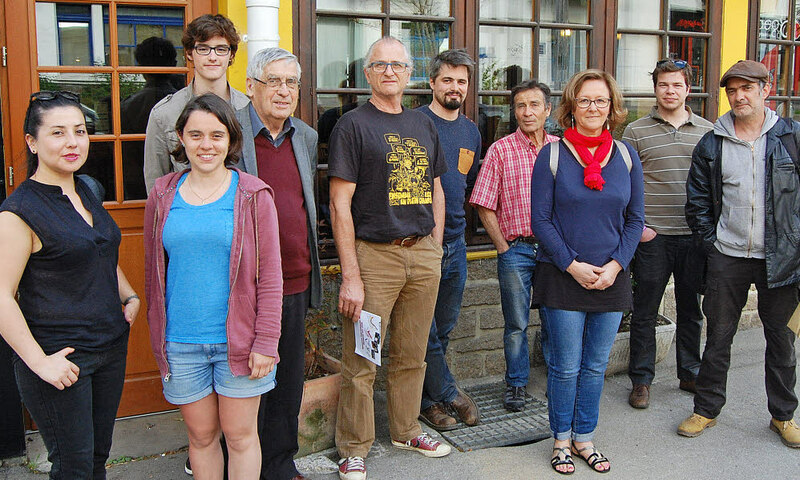 Determined as we are to resist and struggle in convergence against ecocide, we therefore today create the International Front of Resistance against GMOs and the agrochemicals industry. The foundation of this front is today laid in Brittany. We commit ourselves to develop it in opposition to the corporations whose objective is the control of the world’s food systems. 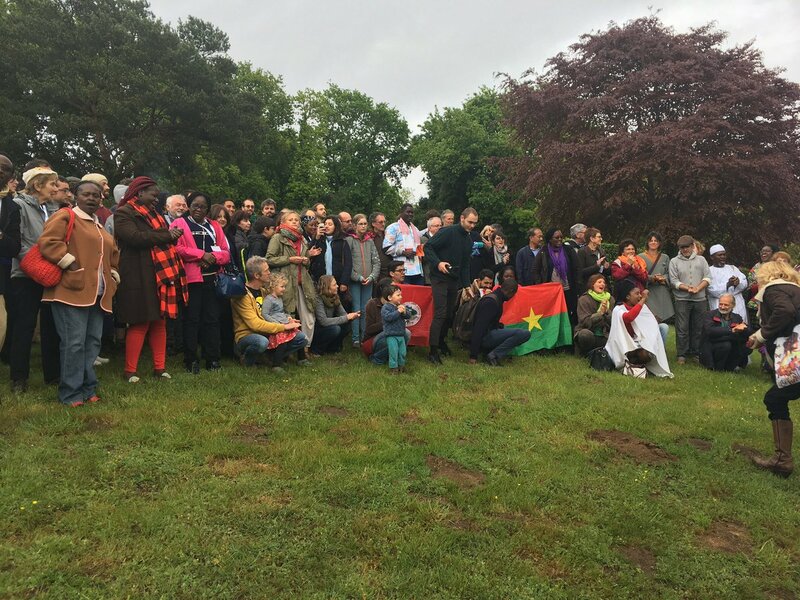 Food Sovereignty Ghana at the 2017 International Meeting of Resistances to GMOs in Lorient, France, 28 – 30 April 2017. Front row, left to right, Ms. Nana Ama Amamoo, Deputy Chairperson of FSG, and Mr. Ali-Masmadi Jehu-Appiah, Chairperson of FSG (in white) at the opening ceremony.